A health questionnaire is usually used to record the medical history of a patient. A questionnaire contains a series of questions that the patient would be required to answer. Based on the answers provided by the patients, the physician or the doctor would get a clear idea of the medical condition. This would help the doctor in getting an insight into the diagnosis and would also help determine the course of treatment. That is where these Health Forms would come in handy. 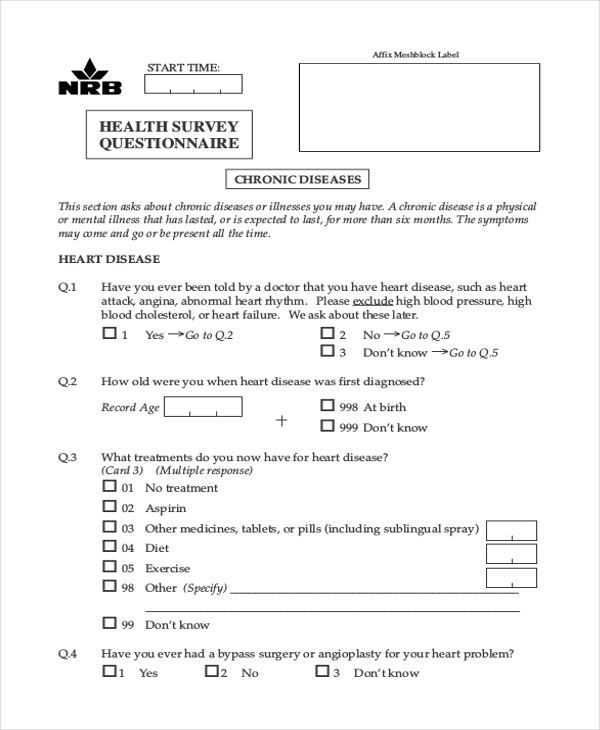 This health questionnaire form can be used to assess the medical history of a patient. By keeping a tab on the past medical history of a patient here, it would be easier to maintain records. 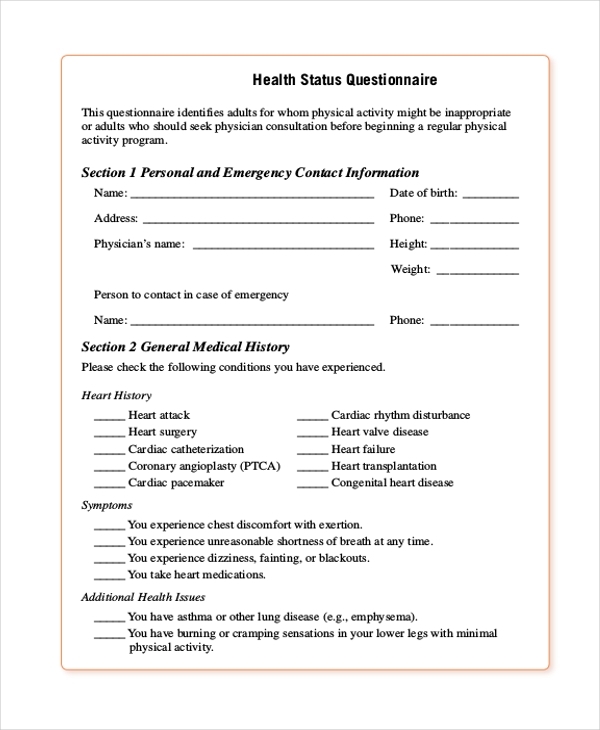 This health status questionnaire form may be used by doctors and physicians to keep a tab on the status of a particular patient. It would help them assess the present course of treatment. Before starting a course of treatment on any patient, it is important to assess his or her health. To do that, and also keep an official record of it, you can always use this health assessment questionnaire form. This health insurance form comes in a PDF format. 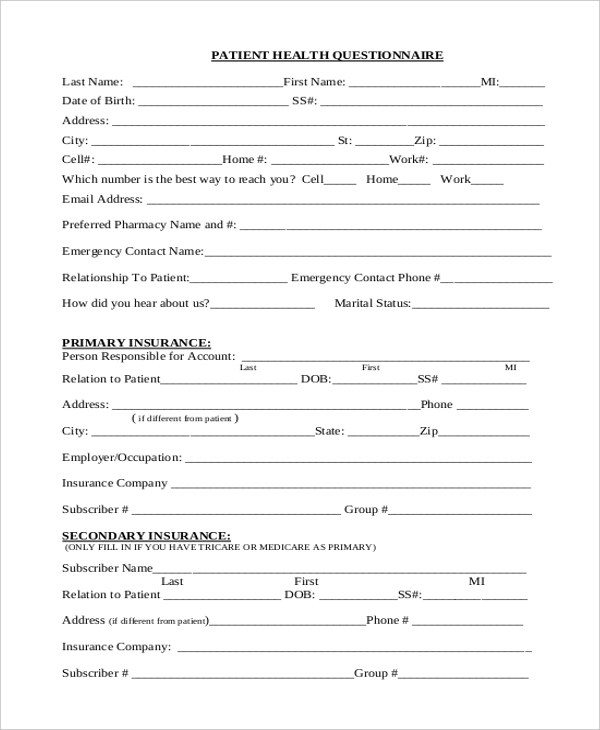 To get your insurance money, it is important to fill out such a form. To create this form, you can use this health questionnaire form. 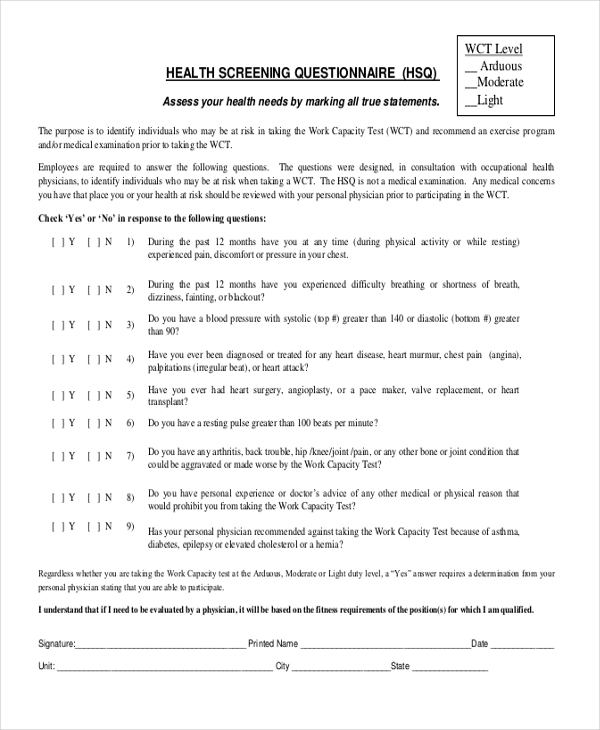 This health screening form may be used to assess the health status of a particular patient. It comes in a PDF format and would be perfect for hospitals and other such medical organisations. Before starting your patient off on any kind of medical treatment, it is important to assess the risks associated with it. You can do that with the help of this risk assessment questionnaire form. 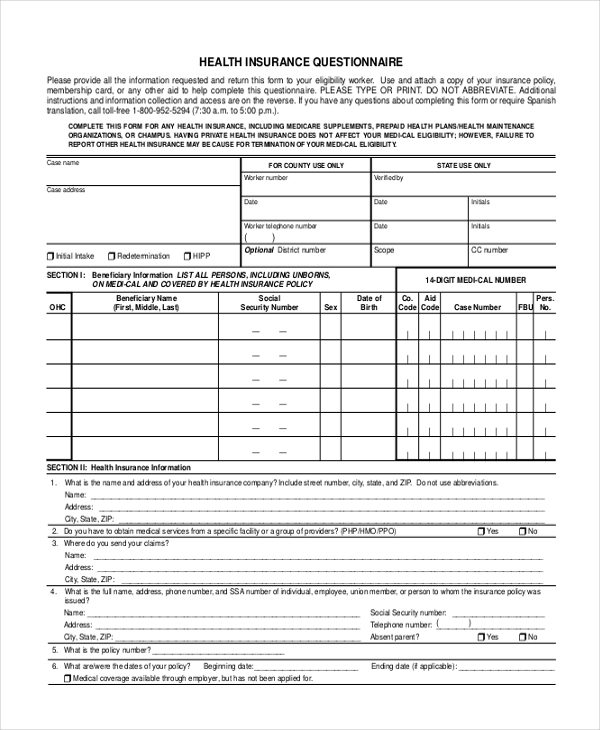 This questionnaire form template is related to health services. The form template comes in a PDF format and has a very neat and organised layout. It is also very easy to use as well. 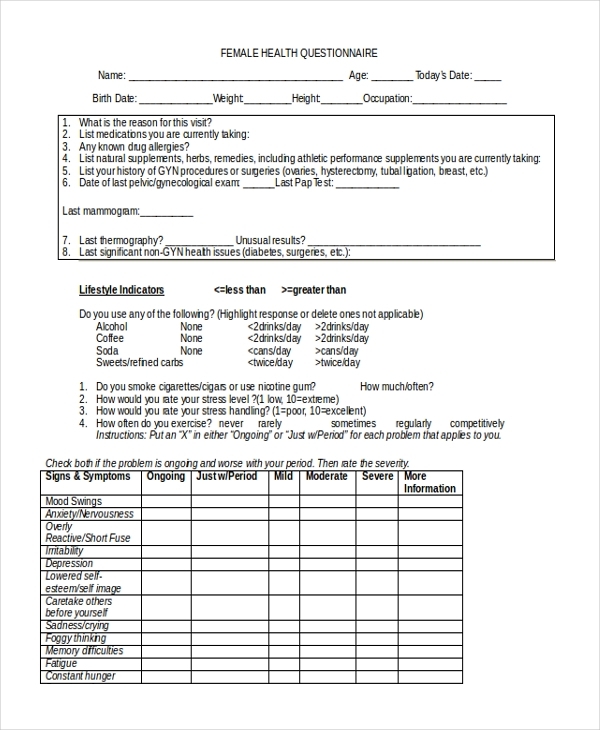 This health questionnaire form template has been designed especially for female health. It comes with a number of questions which are related to female health and comes in a PDF format. 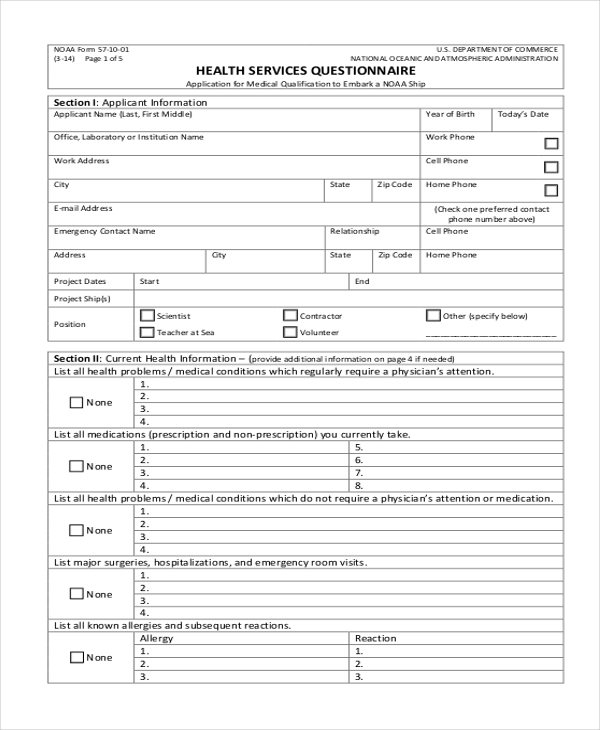 This health questionnaire form can be used to record the medical history of the patient. It is detailed and asks the right questions. This questionnaire form may be used by physicians. In the field of healthcare, surveys are of the utmost importance. To carry out a similar survey for yourself, you can use the health survey questionnaire template that is found here. Who Can Use the Health Questionnaire Forms? The health questionnaire forms are mainly used by doctors, physicians, nurses and other people associated with the various medical organisations. The health questionnaire forms are directed at patients being treated by the physicians. The questionnaire would contain various questions related to the medical condition of the patient, starting from symptoms to the medication he or she is taking. Also, there are medical history questionnaires which are used to record the medical history of the patient. 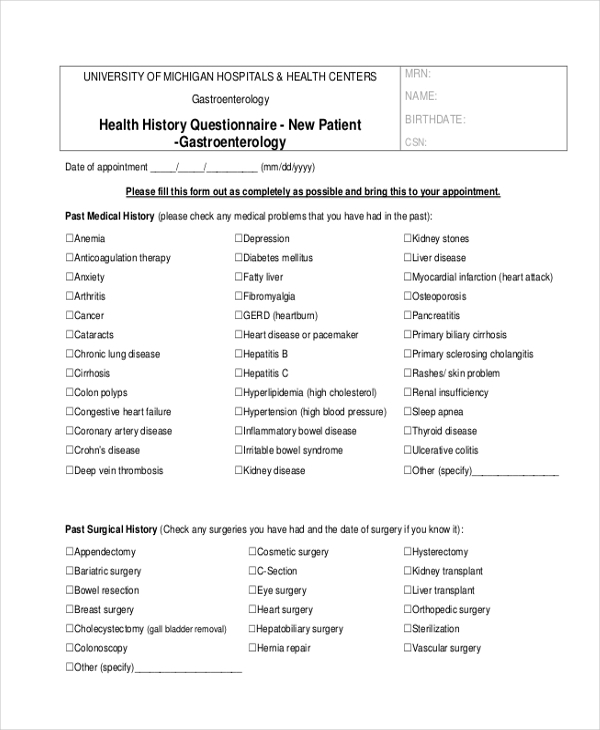 Anyone who’s in charge of recording the medical history or acquiring information from the patient would be able to use the health questionnaire form templates. You may also see Scout Health Forms. How Can You Use the Health Questionnaire Forms? The health questionnaire forms may be of various types, but they usually have the same pattern more or less. Most health questionnaire forms usually contain the same kind of questions, which makes them easy to use. Based on your purpose, you could download the template of your choice. You should make it a point to pour through the sample format provided in the template, and any other instructions that may come with it. Next, you could start working on the template. You could even add certain details or omit certain questions if you feel they are irrelevant. How you design the template is entirely up to you. 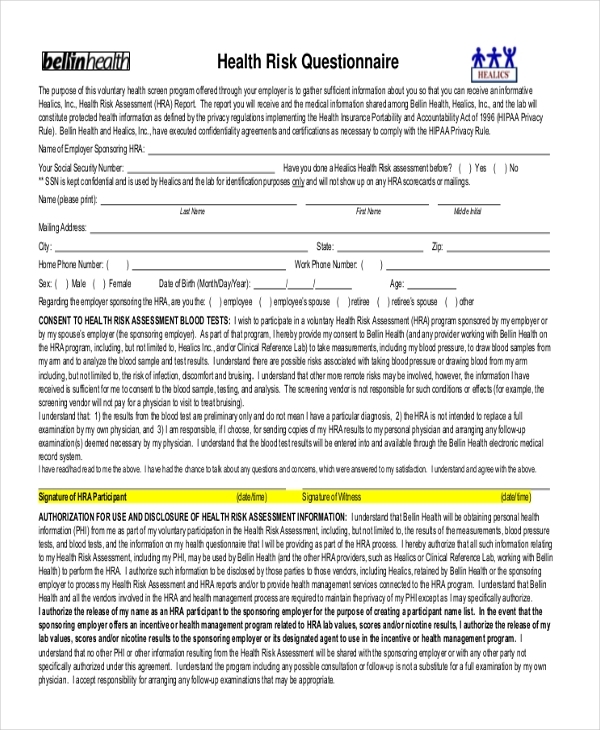 You can also see BSA Health Forms. The templates that you see here already come with a number of questions which may come in handy. Most patients are usually asked the same questions when they are admitted into a health institution. So you wouldn’t have to worry about the format. There are different kinds of health questionnaire forms that are available. Based on your purpose, you could select any one of them. The templates are really easy to use. 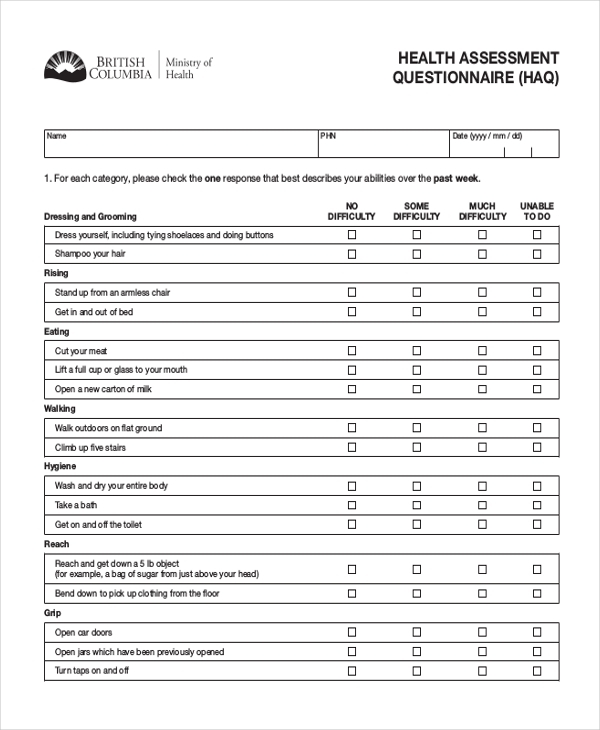 The health questionnaire forms that you see here all come in a neat and well-organised layout. Also, the professional and corporate looking designs that these templates boast of must be appreciated. These templates would come in handy immensely; however, you must make it a point to use only relevant templates.